Our family has some recipes which are no-fails which means that each and every time we make them, they turn out exactly as they’re supposed to. One of these is our banana bread recipe, it’s perfect each and every time I make it which is saying something. Yesterday, my 10 year old daughter exclaimed in her ever-so whiny way that she simply “NEEDED” to have banana bread. Of course this happened when I was right in the middle of tying up loose ends for the week and I instantly had my internal back up at her request. After taking a few deep breaths, something clicked inside of myself and I recognized that this was a rare chance to bond with her alone. Instead of taking the 10 minutes to prepare the ingredients by myself, or flat our refusing her I brought her into the kitchen and pulled out the recipe card and announced we’re having a baking date! Sydney jumped right in, her mood went from bored and whiny to excited as she scrambled to find her Chef’s hat and apron. Because of course you must look the part right? Sydney made this banana bread all by herself, I just stood by and helped her with understanding measurements and let her go wild. The clean up was my job of course, but in the preparation we had a chance to have some FUN together and really connect. This is a recipe which you can use with your kids, it’s straight forward and they’re sure to have a sense of pride at the end. If you’re looking for fun kitchen time with your kids, whip up a cake or banana bread and have FUN! I love Banana bread but I’ve never tried making it. I guess it seemed intimidating to me. I’m going to try this over the weekend! 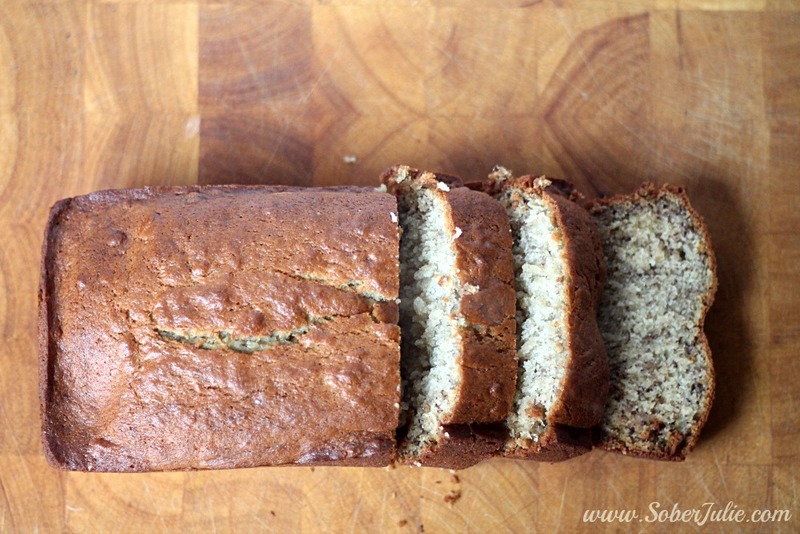 I have some ripe bananas in the kitchen so I think a loaf of banana bread will be going in the oven this afternoon! Thanks for sharing your recipe! Awe that is so sweet! Bonding with the kids is so special. Did some baking today with mine. Its nice to see their face lit up, they feel so important helping out in the kitchen. 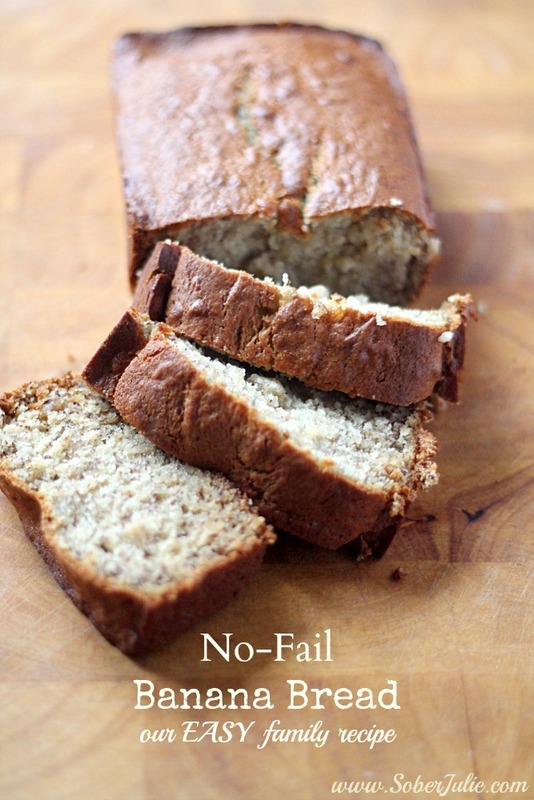 As for the banana bread, my favorite, pretty much no-fail baking recipe haha! I place my brown bananas in my freezer too! They are perfect for shakes or banana bread…your recipe looks so good and of course I see that you had fantastic helper! sounds and looks good. I really enjoy seeing the pictures of your daughters creating. I can bake but the only thing I actually like making is banana bread. easy tasty recipes are the best. hats off to the chef. 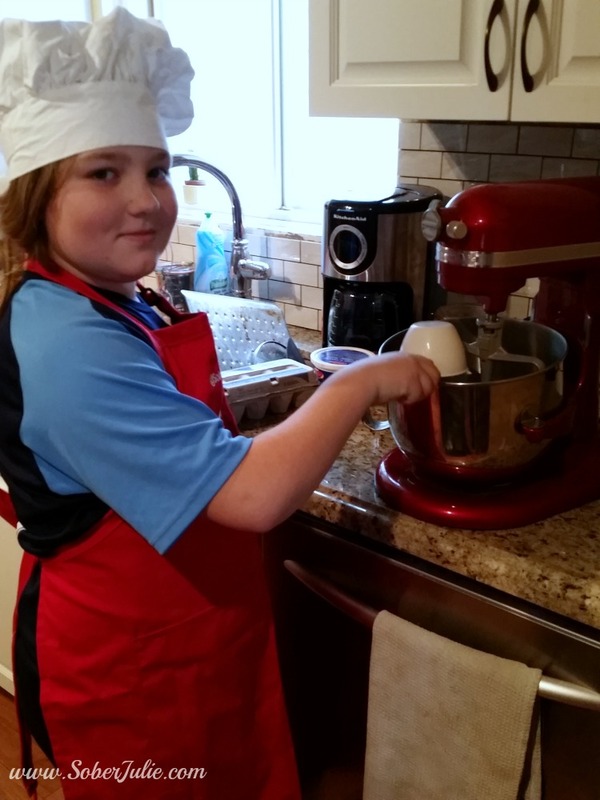 Baking or cooking with kids is the perfect time to bond! Also, that banana bread looks and sounds amazing. 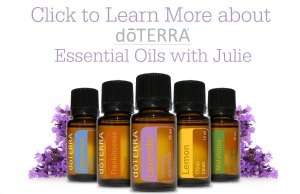 I may just NEED to try it out soon ;) Thanks for sharing!! I will be using this recipe next time I make banana bread, I have never used sour cream in it before. It must make the loaf really moist. Sounds delicious! I love banana bread. I want to try your recipe out. Love that it is NO FAIL! 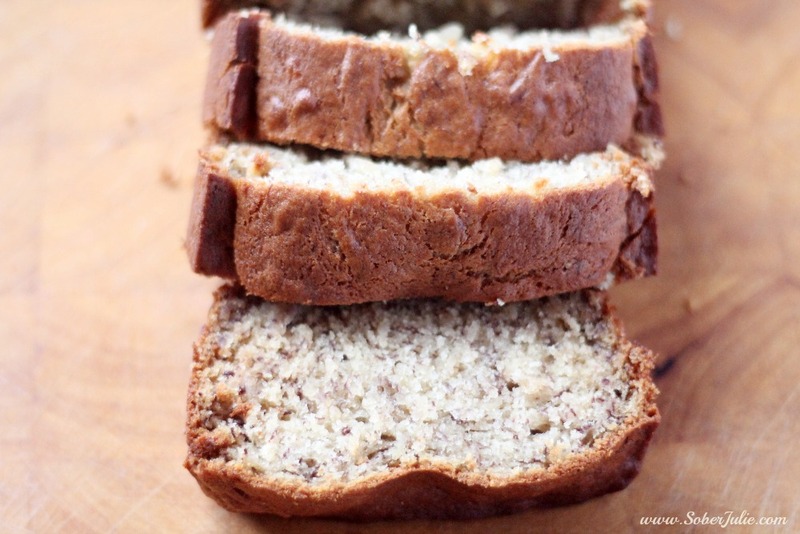 Banana bread is my husband’s favourite dessert. I used to get disappointed seeing those bananas go bad, but now I get so excited seeing them go ripe, so I can freeze them for the next banana bread baking. This was a delicious RECIPE! My kids loved it! I decided to be bold and make it into 24 muffins. I did 12 with pecans and 12 plain. 25 minutes at 350 @ they came out perfect! I will definitely do this RECIPE again! Thank you!! You peaked my interest at ‘No-Fail’! I think it’s interesting that this recipe uses sour cream – I’ve PIN’d the recipe!